← Is Church Membership Really Required? What Do Jehovah’s Witnesses Teach About Hell? 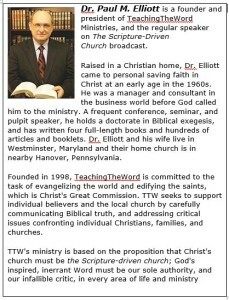 This is the ninth in a series of articles about the doctrines and practices of the Watchtower Bible and Tract Society. Read part eight. As is typical of their approach to most doctrinal matters where they disagree with Biblical Christianity, Jehovah’s Witnesses argue against the erroneous views of Hell put forth by non-Christians, rather than against the authentic doctrine as taught in the Bible. On their official website, the Watchtower Society argues against erroneous views of Hell disseminated by Roman Catholic popes, Jesuit theologians, and liberal Anglicans. They also quote a historian who speaks derisively of Hell as “flames and a red-suited devil with a pitchfork.” They set forth these straw-man views in an attempt to prove that the organized church, and society at large, are confused about Hell – and with that we can certainly agree. But proving that there is confusion about Hell among the unbelieving does not disprove the doctrine of the eternal punishment of the lost as taught in God’s Word – and that is the case Jehovah’s Witnesses attempt to make. Contrary to the denials of the Jehovah’s Witnesses (and many others), both the Old and New Testaments teach that Hell is a place of eternal, conscious torment of the lost. The Biblical definition of physical death is the separation of body and soul. The bodies of both the just and the unjust return to the earth and experience corruption (Genesis 3:19, Acts 13:36). The souls of both the saved and the lost remain alive and conscious, and return to God who gave them (Ecclesiastes 12:7). The souls of believers go immediately to be in the presence of the Lord in Heaven (Luke 23:43; Philippians 1:23; 2 Corinthians 5:1-8; 1 Thessalonians 4:14). There they await the redemption of their bodies and the restoration of all things (Acts 3:21, Romans 8:18-23). Heaven is a literal place to which the risen, glorified Christ ascended bodily (Acts 1) and is now seated at the right hand of the Father (Ephesians 1:20; Hebrews 8:1) as Stephen saw (Acts 7:56). The book of Revelation depicts the presence and activity of believers in Heaven before the resurrection of their bodies for the judgment of the Last Day (e.g., Revelation 4:1ff; 6:10ff, 7:13-17, 11:16ff). The souls of the lost are cast into Hell and experience darkness and torment, awaiting the final judgment, and their final consignment to the Lake of Fire for eternity (Isaiah 5:14, 14:9, 14:15; Psalm 9:17; Matthew 10:28, 11:23, 23:33; Mark 9:43-48; Luke 16:23-24; Acts 1:25; Hebrews 9:27; Jude 6-7; Revelation 20:10-15). Hell is as literal as Heaven. Scripture speaks of the conscious torment of those in Hell (Matthew 8:12). The rich man of Luke 16 was in such torment. Scripture speaks of the “shame and everlasting loathing” of those condemned to Hell (Daniel 12:2). The fire of Hell is spoken of as eternally unquenchable (Matthew 3:12, Mark 9:43-48, where Jesus quotes Isaiah 66:24); an unquenchable fire would be unnecessary if the damned were annihilated. Jesus speaks of the punishment of Hell as eternal (Matthew 25:46). At the Last Judgment, the lost will hear the sentence of their eternal doom pronounced, and they will be cast bodily into the Lake of Fire with the devil and his angels, there to be “tormented day and night forever” (Matthew 13:36-43; 13:47-50; 25:31-46; Revelation 20:11-15). Many of the lost will protest that they did great things, even miracles, in Christ’s name. Interestingly, the King does not deny their claims, but He will say, “I never knew you; depart from Me, you who practice lawlessness” (Matthew 7:21-23). And – “Every knee shall bow.and every tongue shall confess that Jesus Christ is Lord, to the glory of the Father” (Philippians 2:10-11). In finally bowing the knee and truly confessing that “Jesus is Lord,” the lost who had falsely, even patronizingly, called Him, “Lord, Lord,” will acknowledge that their eternal condemnation is just. It is the responsibility of the Gospel minister to preach these great truths. Both the doctrine of Heaven and the doctrine of Hell are greatly neglected truths in our day. A man-centered focus on the “here and now” has supplanted fervent preaching about a Heaven to be gained and a Hell to be shunned, and Jehovah’s Witnesses have done their part to promote such ignorance. 1. See the heading “The Bible Alone is Not Enough” in the article, What do Jehovah’s Witnesses believe about the Bible? on this website. 2. See the heading “Your Bible is Not Enough” in the article, What do Jehovah’s Witnesses believe about the Bible? on this website. 3. 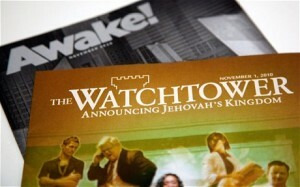 See the article, What do Jehovah’s Witnesses teach about the soul of man? on this website. 4. 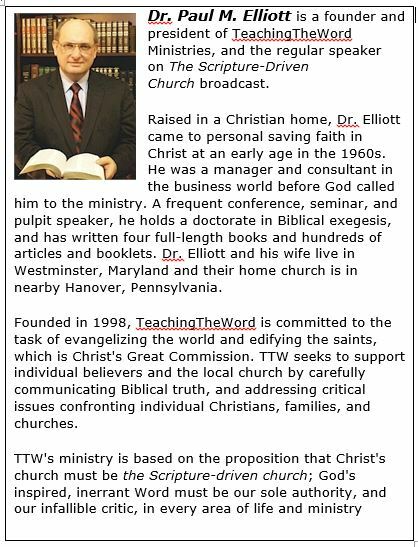 “What Has Happened to Hellfire?” at http://www.watchtower.org/e/20020715/article_02.htm (as viewed on 9/24/08). 5. Charles Taze Russell, Studies in the Scriptures, Volume 1: The Divine Plan of the Ages (Bible Students Congregation of New Brunswick, 1996, a reprint of the 1886 edition), p. 127. 6. The Divine Plan of the Ages, page 128. 7. Let God Be True (New York: Watchtower Bible and Tract Society, 1952), p. 92. 8. You Can Live Forever in Paradise on Earth, (New York: Watchtower Bible and Tract Society, 1982), p. 89. Italics are in the original. 9. “What Really is Hell?” at http://www.watchtower.org/e/20020715/article_02.htm (as viewed on 9/24/08).